Who actually pays money for Ace of Base? Y'all been making some weird purchases lately. You'd be surprised how little Lance Bass goes for these days. I meant to just buy a new keyboard, and now everything is glowing. 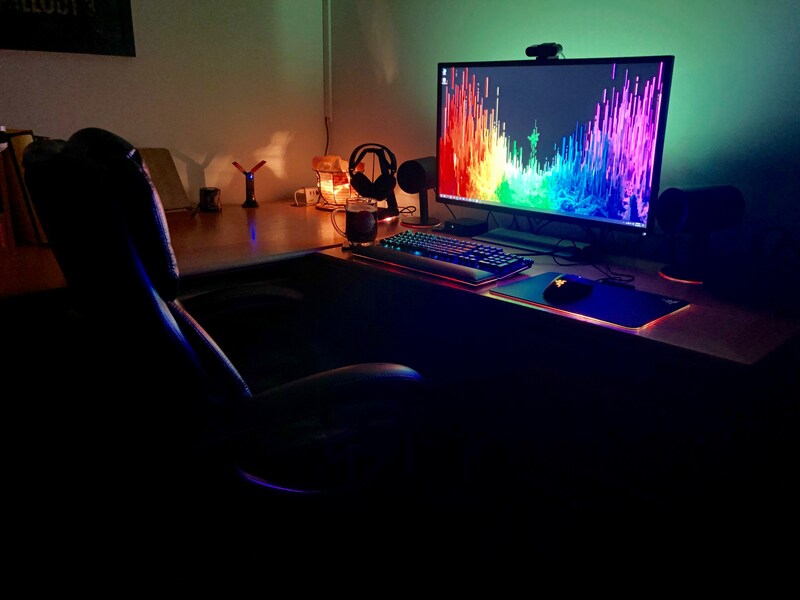 Usually, rainbow gaming setups look really abrasive to me, but that's one of the most chill setups I've seen. Looks lovely! Thanks! I've never really thought about or cared about having LED/RGB lighting as part of my gaming setups, in part because I got started building in the Pentium I days when everything was a beige box cobbled together from parts purchased in a Shriner's auditorium somewhere. This was sort of an accident, but it is in fact chill. Indeed. Who actually pays money for Ace of Base? Definitely a silly purchase. It’s all that she wants. If only we had seen the signs. I saw the sign, but I didn't kill the deputy. Alright, here's my "silly" recent purchase. Silly because she was $5,000. I won't get into the reasons why she cost so much, but suffice to say even I thought it was ridiculous until I found out why. Now that she's been home with us for the last three days, I'd say she's worth every penny. Something tells me I'm going to regret not explaining myself, but you folks will just have to excuse me while I go pick up the motherlode of golden pennies. Nah; we’re happy to explain for you. Well, at least I have the upper hand - one day, every one of you will have handled my pup's golden a** pennies! Very cute puppy! I really hope that was just Petland photo services and you didn't get her from there. They are notorious for puppy mill puppies. If you did I hope she turns out happy and healthy for you. I'm well aware of Petland's reputation and I wouldn't normally shop there, but this particular store is privately and locally owned and their specific policies are one of many reasons we were ok with spending so much. It is very clear their goals and obligations are for the health and safety of their pets and for their placement with permanent homes. The wife and I have had several Shar Pei mixes, spent considerable time working with rescue shelters and fostering many more, and are familiar with their specific needs and health issues. Our little girl is 100% money back guaranteed for a month and after that, if and when she passes from illness or just plain old age, we will receive a 50% credit toward the next one. Her first year of vet care is discounted, spaying is encouraged and free, we have a lifetime discount in the store, she's AKC and AKA registered, all levels of obedience courses are free, she's micro-chipped, she's already had entropic (eyelid) and brachycephalic (airway) surgeries, and she came with over $600 of pet supplies including wet and dry food, treats, tooth care, toys, bedding, puppy training pads, a kennel, and probably even more. Obviously, none of that was actually free - we just paid for many of the costs of ownership up front, but we know what all those costs can be for this breed. Just knowing her eye and airway issues have been looked at and addressed is a relief and worth a considerable portion of her adoption. As for this particular store, I have absolutely NO problem recommending them to anyone. My parents used to be very discerning private Australian Sheppard breeders and even they were impressed. 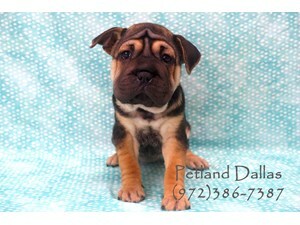 Looking at picking up a rescue mutt after the holidaze. I'm trying to find one for the holidays. I won't put a dog through the holidaze. Plus there will be lots available for adoption in late February when folks realize what they've gotten themselves into. The shelters are always full. I used to work in one. So I understand, though I am told that they are bulging at the seams during "give up" month. Based on my experience, shelters are busiest during the summer months. That's when a lot of stray domesticated animals tend to breed. So, late summer shelters are stacked with ~3 month old puppies/kittens. There are gift regret pets that go to shelters at the beginning of the year, but at the same time the shelter has done a lot of recovery from the super busy time. Pet regret is a PITA for shelters, and those people should really take a closer look at their decision making skills. I just read that July 5 is the busiest day of the year in America because of dogs running off due to fireworks. I imagine many of those end up getting reunited with their owners though. This time of year is when I see all the ads circulating around to not give animals as gifts for all the reasons I articulated above. Primary among them being that it is a serious commitment that needs to be considered rather than tossed in with the rest of the craziness of the holidays. I looked at that house and said "that looks swedish" before I checked your location. Looks like my brothers previous house. Very nice!! It does sort of look like it could flat pack and be delivered. petfinder.com is a good place to look. They aggregate pets from lots of different shelters and rescues. We found both of our current pets through the site. The issue I am having with petfinder is that every animal I have called about is no longer available. I was told from one rescue that the dog I was calling about was given a home over a year ago.